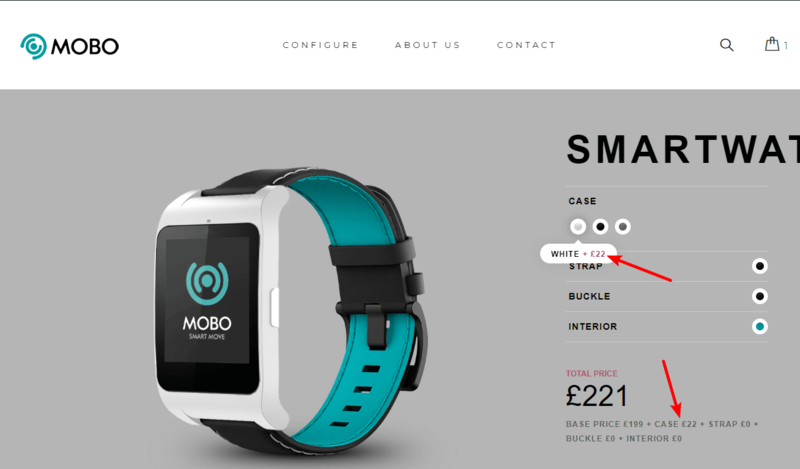 Need a way to create configurable products at your WooCommerce store? Sometimes one-size-fits-all isn’t the right approach, and shoppers love the ability to create their own personalized product. 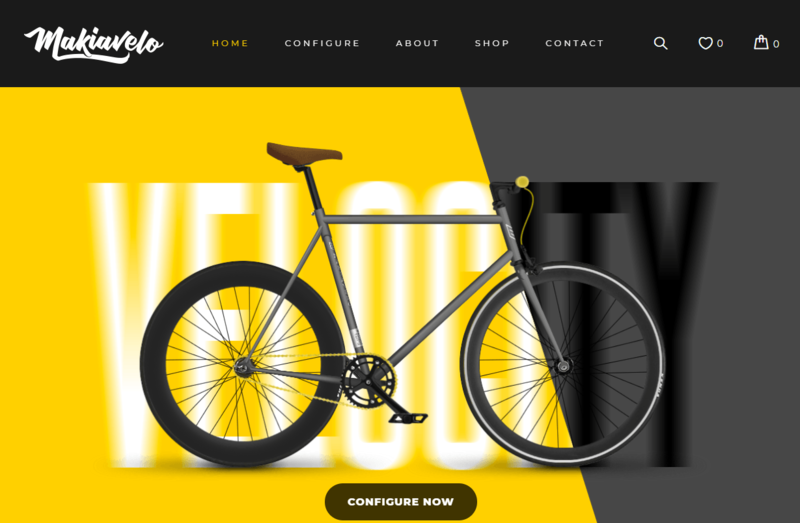 WP Configurator is a responsive theme/plugin duo that helps you create great-looking customizable products at your WooCommerce store in a really user-friendly manner. Keep reading my WP Configurator review to see how it works and whether or not it’s the right tool to help you build your own customizable WooCommerce products. As you learned above, the most unique thing about WP Configurator is that it’s bundled with and built for the WP Configurator plugin. 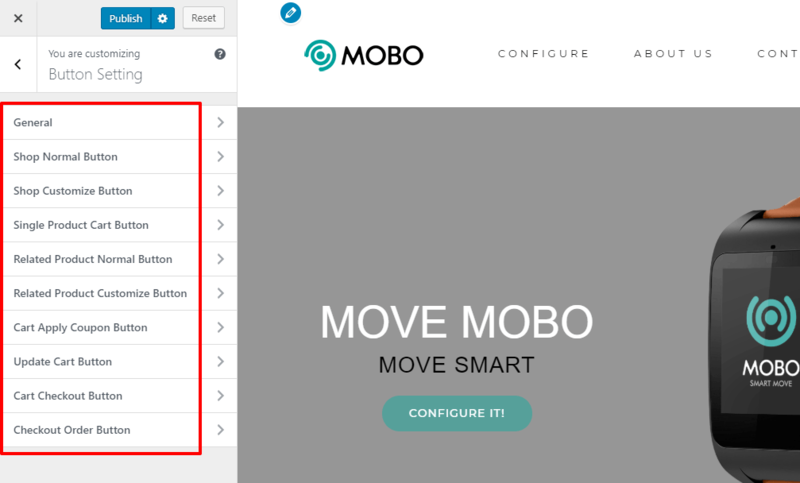 This makes it easy to create configurable WooCommerce products. That is, products where the shopper “builds” a unique product by selecting from various options. 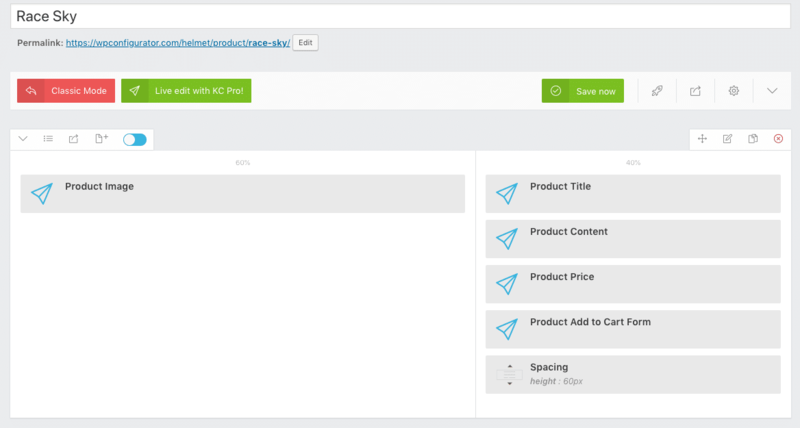 Using the bundled plugin, you can create any type of configurable product. And the most unique thing is that customers can actually see their product “built” in real-time. That is, as they select customization options, the product preview will exactly match the options they’ve select (I’ll tell you how it does that later on). 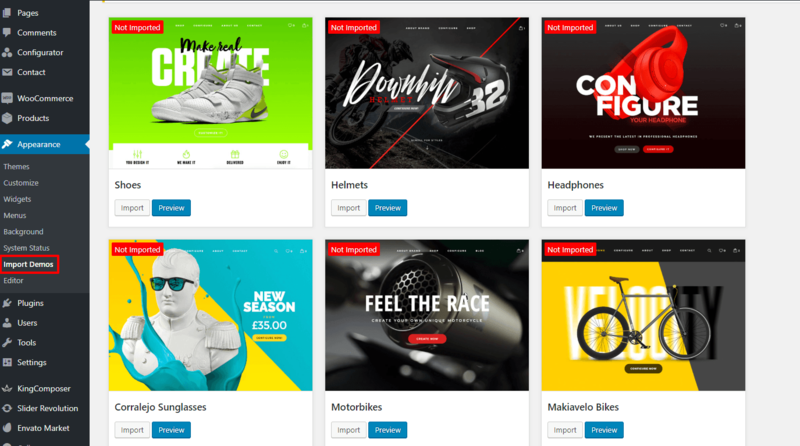 Getting that type of functionality for your store is the main reason to use the WP Configurator theme – but it’s not the only thing this theme offers. Tons of header options, including sticky and transparent headers. 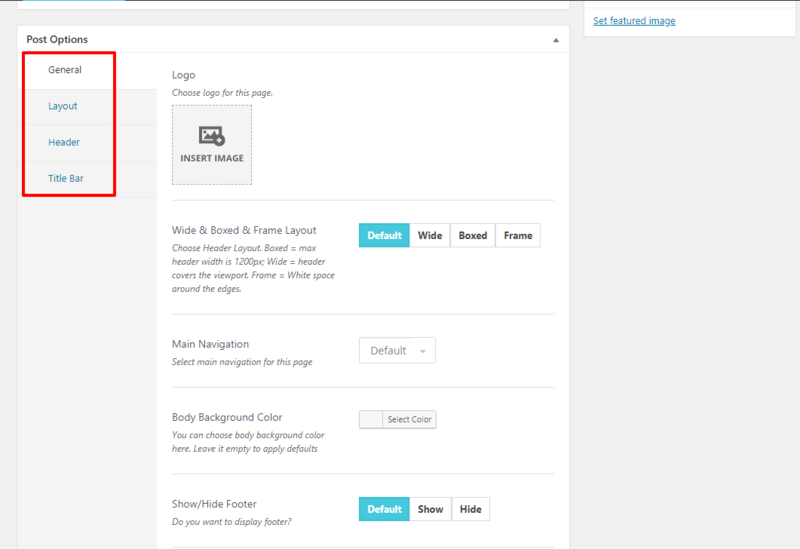 Built-in page builder content for easy drag-and-drop customization. Page-level layout controls via a meta box. KingComposer page builder – includes a license for automatic updates – no need to purchase separately. Slider Revolution – the plugin is included for free but you’ll need a license for updates. Beyond the plugin, WP Configurator also comes with a number of pre-built sliders for the various demos. You know the features – so how might WP Configurator actually look? Well, the developer plans to release new demos every week (all of which are importable). At the time that I’m writing this review, there are 11 different importable demos, though there might be more when you’re looking at WP Configurator. They also got a video which shows WP Configurator. It’s pretty easy to get started with WP Configurator. 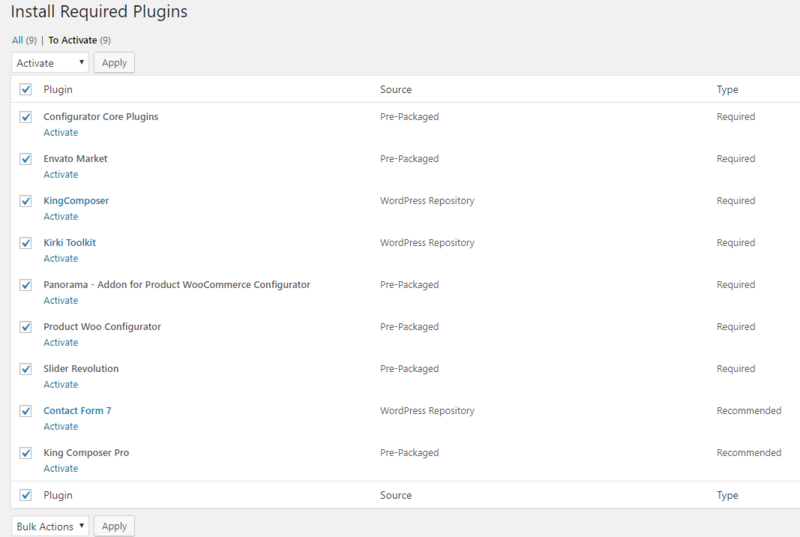 When you first install the theme, it will give you that normal list of required and recommended plugins. There are 7 required plugins and 2 recommended plugins. You pretty much just click the Import plugin and the theme handles the rest – it’s a very smooth and simple process (though it did take 5+ minutes on my test site). 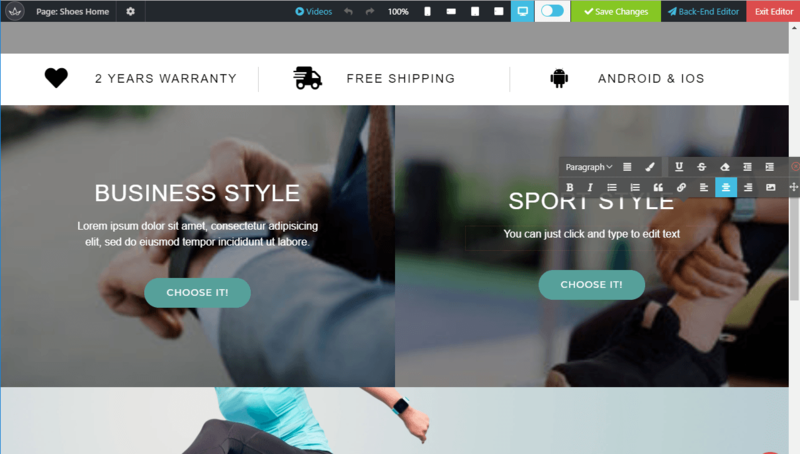 Once the import process finishes, your store should look exactly like the demo site. If you want to further configure your store’s looks and layouts after importing the demo content, there are two ways to go about it. It’s a massive improvement over the non-visual theme settings areas of old. Flexible headers, including options for sticky or transparent headers. 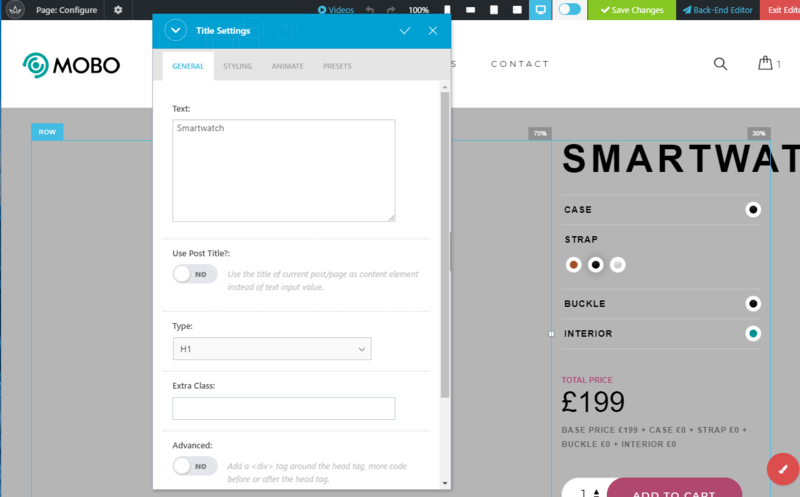 Options to customize the single product layout page, including related products. Lots of flexibility for your footer layout/settings. Detailed control over lots of little meta information. Multiple store layouts. List or grid views, plus multiple sidebar configuration options. Again – that’s by no means a full list – you have lots of control via the Customizer. I’ve never personally used KingComposer, but it seems functional enough. It has inline text editing which makes it easy to change up all the text on your site. And you can easily adjust layout and styling using the interface and simple drag-and-drop controls. So no matter what your knowledge level, you shouldn’t have any issues customizing the demo content to make it your own. It also offers a back-end editor in addition to the live visual editor, which is nice if you’re one of the people who prefer back-end editing. Obviously, the big reason to choose WP Configurator over other WooCommerce themes is its configurable product functionality. To create a new configurable product, you go to Configurator → New Configurator. You’ll build your configurable product using different “layers”. This is what lets users see a preview of the exact product that they’re configuring. 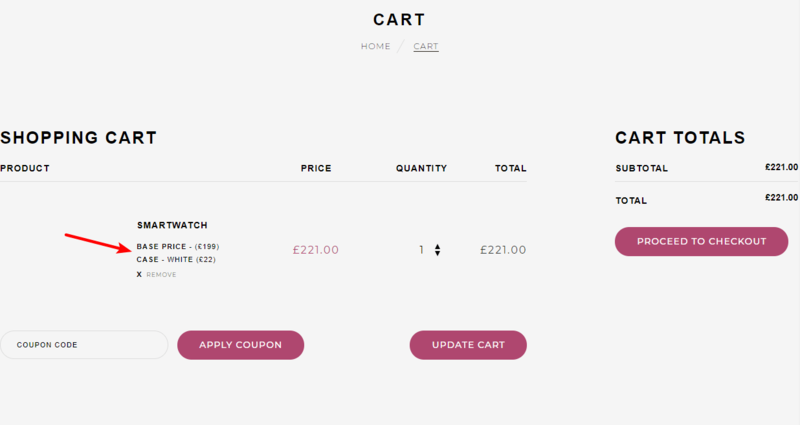 I think this is a really slick implementation for creating configurable products. 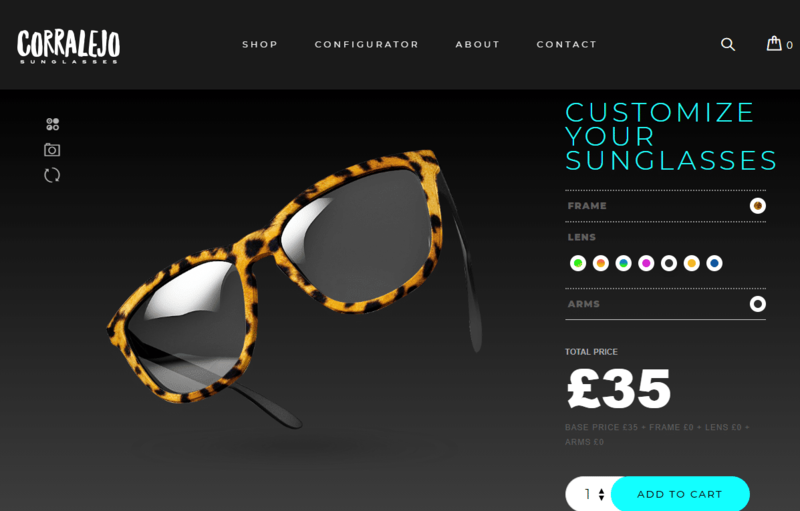 Beyond the core plugin, the theme also includes the Panorama Skin Addon, which offers a full-width configurator for a really immersive user experience. This skin also lets you show the configuration options as a slide-out. Beyond the WordPress Customizer controls and KingComposer interface, WP Configurator also gives you a meta box to customize how things work for each individual piece of content. Change the layout, including whether or not to use sidebars, and where to put the sidebars. 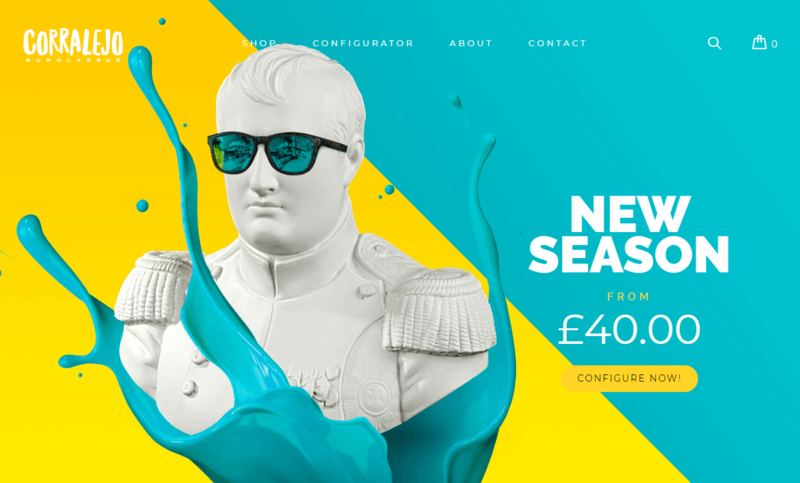 WP Configurator currently costs $49 at ThemeForest. Obviously, WP Configurator isn’t trying to be a theme for all WooCommerce stores. 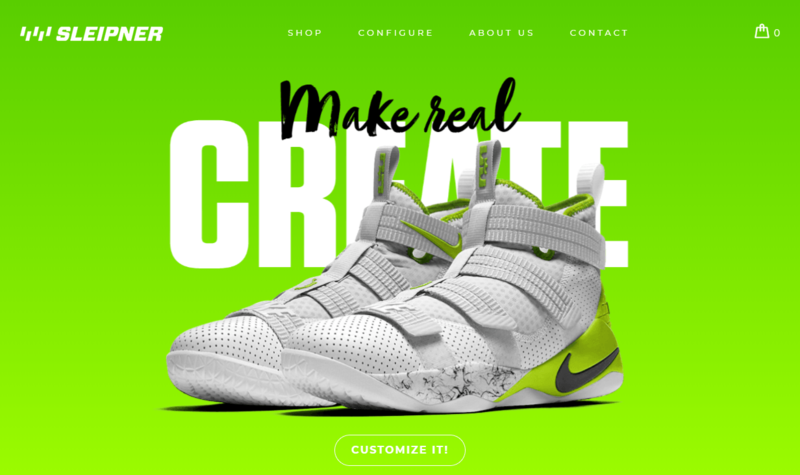 But if you want to create a WooCommerce store with configurable products, then it’s an easy way to get up-and-running with a great-looking store. 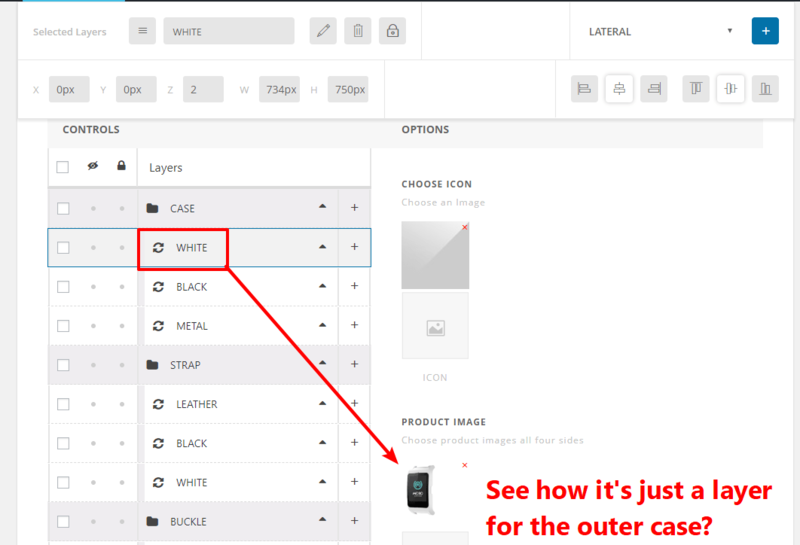 The way that the configurator functionality works with layers makes for a really user-friendly experience for shoppers, and it also does a good job of showing shoppers the pricing breakdown for all of their configuration choices. 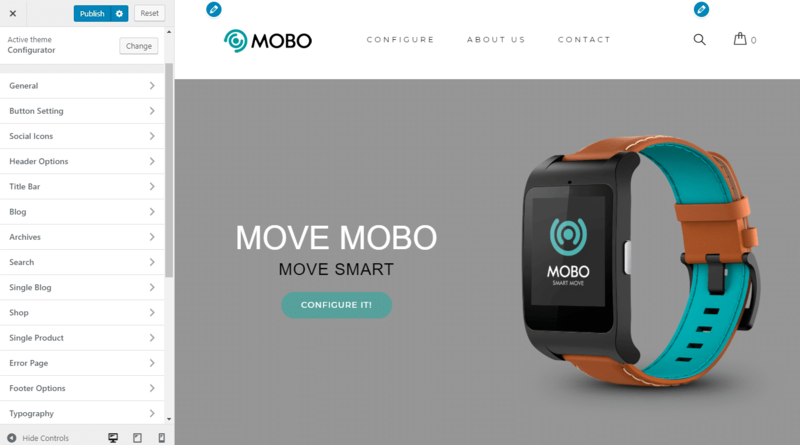 So if you want to create a WooCommerce store that offers configurable products, give this one a look for sure!